Kenya is at the age of entrepreneurial awareness and with this most people require knowledge on how to write a good business plan. Now that you have an idea of what business you want to proceed with the only remaining bit is to have a solid business plan. 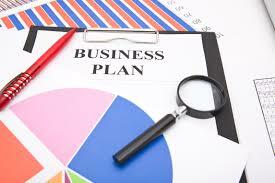 What constitutes a good business plan? Below is the answer to your question. Here you are supposed to state a short description of the industry into which you want to start your business. You should describe the industry, in terms of the present outlook and the future possibilities in relation to your business. Indicate in the business description the way new products or developments will benefit or affect the business you want to start. This is also an important element in any business and requires a market analysis of your business interest. It will require you as the entrepreneur to be familiar with the various aspects of the target market you want to focus on. It is here that you determine and indicate the target market of the business and how it will be positioned to get a share of sales. The purpose here is to determine the strengths of your business and the weaknesses as compared to your competitors in the same market. You need to come up with strategies that will provide your business with a distinct advantage over your competitors. This section of the business plan is where you as an entrepreneur have to provide the potential investors with a vivid description of your product design, your development plan in relation to production of products and services, your marketing of the company and the budget for development of the business in order to reach its goals. Here you are supposed to describe the operations and management plan of your business and how it is supposed to function when it starts. Talk about the logistics of your business and the responsibilities that will be given to the management team. Financial data in this section is required to back the business plan, and it will help any potential investors have an idea of what to expect from the business financially.